I teach a fair number or ACA Safety & Rescue classes each year. I’ve also lead numerous Instructor Certification Workshops. The ACA Level 4 Curriculum covers many topics. Some students/candidates are interested in real world examples where these skills come into play. I was quite fortunate to have Charlie Walbridge lead my Instructor Certification Class. One of the many interesting exercises was a slide show of various incidents we analyzed and took a stab at “what would we do?”. With the proliferation of Go Pro video cameras, I decided to make a collection of successful rescues that I share as exercises for Instructor Debriefing exercises. Everyone should be very thankful to those paddlers that reported these incidents to the AW Safety Database (https://www.americanwhitewater.org/content/Accident/view/) and shared their lessons learned so we can all benefit. Everyone lets their guard down sooner or later – talented paddlers practice defense in depth and can manage these incidents. o Not all rescue solutions are obvious. This is why we box (enclose) the rescue site, so someone is in place when Plan A doesn’t work. Also gives a great example on why bulk heads in kayaks have been redesigned. o No entry in the AW Safety Database (it’s foreign). o Shows how difficult it is to escape this feature and challenges in rescues. o Better example of recirculation, note how small the drop is. o Shows the hazards to rescue professionals dealing with low head dam rescues. o This is a great training video, lots of challenges. It’s really special since you have videos from both the rescuer and the person needing assistance. o Fast, simple, effective and no ropes. Great example of RETHROG. o Not in the AW Safety Database. o The Green River Race has the most incredible safety crew imaginable. Lots of great examples of tethered rescues at Gorilla including the most famous clip at the 3 minute point. o Many pins have taken place at this spot and the hazard is well documented. This is a great example in the use of a stabilization line. o Couldn’t find an AW Safety Database entry. o Well narrated. Tethered rescue, hands on is key! o Paddling solo is one of the most common contributing factors to all reported incidents in the AW Safety Database. o AW safety database entry unknown. o Few films show very clearly why we need to practice our throw rope skills. o No AW Safety Database entry, this was during a race on Daddy’s Creek. o Excellent rescue with a lot of challenges. 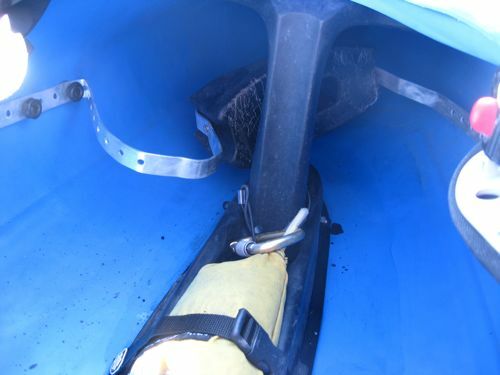 o Very challenging place to unpin a raft, worse yet – a bucket boat. o No AW Safety Database report. o Many paddlers these days choose not to scout when necessary. Yes it’s inconvenient but in a few cases may save your life as well as your friends.